Facebook has announced that it will buy virtual reality gaming company Oculus in a deal worth $2bn (£1.2bn). Oculus is the maker of the Oculus Rift virtual reality headset, which allows users to "step inside" games thanks to stereoscopic 3D technology. 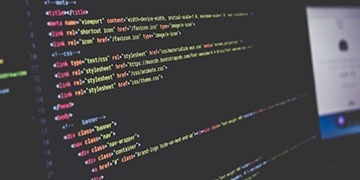 The device is not available to consumers yet - although its appearances at trade shows CES and GDC earlier this year suggest a launch date may be imminent - and meanwhile, the software development kit has received over 75,000 orders. In a press release yesterday, Facebook revealed the deal includes $400m in cash, $1.6bn in Facebook stock, and a $300m bonus if "certain milestones" are reached. The $2bn total is double what Facebook paid for Instagram in 2012, but is dwarfed by their purchase of WhatsApp for $19bn in February 2014. Unlike the other two acquisitions, Oculus was initially crowdfunded by a campaign on Kickstarter. Thanks to almost 10,000 backers, the company eventually received $2.4m of pledges - ten times its target. Those launching Kickstarter projects maintain complete control over their creations, while financial returns are not permitted - instead, backers receive a 'reward', which in the case of Oculus, included posters, t-shirts and developer kits. Kickstarter's T&Cs say that refunds are only required if this reward cannot be fulfilled. Zuckerberg went into more detail on his Facebook profile, suggesting the headset could be used to watch sports matches, study remotely or even consult with a doctor. 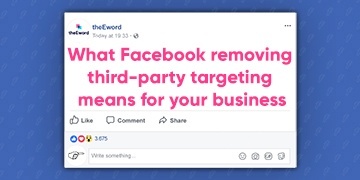 Adrian Mursec, head of development at theEword, commented: "Facebook is continuing to spend huge amounts of money on businesses which it clearly sees as instrumental to its growth. It will be incredibly interesting to see how Facebook plans to use Oculus's technology for communication; meanwhile, it's likely that Facebook's inexhaustible wealth will help Oculus become bigger and better."